Mission Health System, Asheville, N.C., hired Ronald Paulus, M.D., to be president and CEO of the four-campus system and its flagship campus, Mission Hospital, Asheville, effective Sept. 1. Paulus, 47, will replace Carleton Rider, who became Mission's interim CEO after Joseph Damore left the system Jan. 31. Paulus is leaving three-hospital Geisinger Health System, Danville, Pa., after five years. Paulus most recently served as Geisinger's executive vice president for clinical operations and chief innovation officer. He directed Geisinger's participation in the CMS physician group practice demonstration project and the system's planned transformation into an accountable care organization. 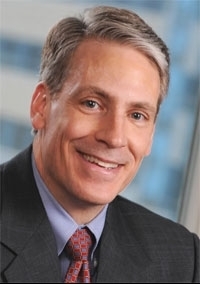 Paulus earned a bachelor's degree in economics and an MBA from the Wharton School at the University of Pennsylvania and earned his medical degree at the Philadelphia university's School of Medicine.